Our low-ratio, supportive approach makes all the difference. The program is excellent preparation for success in Bronze Medallion. Lifesavers develop problem-solving and decision-making skills individually and in partners. They learn CPR and develop the lifesaving skills needed to be their own lifeguard. Lifesavers develop stroke effcienct and endurance in a 400m timed swim. MasterCard and Visa payments are accepted for your convenience. All classes are 4 hours. 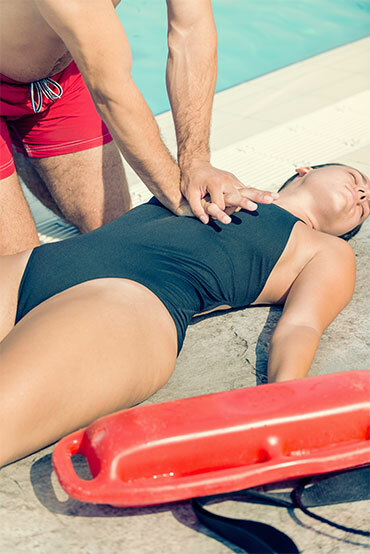 This program teaches an understanding of the lifesaving principles embodied in the four components of water rescue education: judgement, knowledge, skill and fitness. Rescuers learn tows and carries, and defence methods and release in preperation for challenging rescues of increased risk involving conscious and unconcious victims of various types. Lifesavers develop stroke effcienct and endurance in a 500m timed swim. This is just the first step to becoming a certified lifeguard and swim instructor. Jumpstart your aquatic career NOW. Classes are held at the Best Western Pool in Nepean. This program is designed for lifesavers who want the challenge of more advanced training including an introduction to safe supervision in aquatic facilities. Bronze Cross is a prerequisite for all advanced training programs including National Lifeguard and Instructor certification. Includes a timed 600m swim. Take your next step into a career in aquatics!